For the highway traveler with stiff muscles and an empty belly, this town is a perfect stop. Statesville’s superhighways, interstates 40 and 77, are two great currents of semis, SUVs, and Buicks — some 70,000 vehicles a day — flowing in the four directions of the wind. For most people behind a wheel, Statesville is just another name in white, reflective letters on green, reflective signs. For me, Statesville has long been a milepost, and a conveniently precise answer to are-we-there-yet questions while on the way to somewhere else. Driving west on I-40, it’s exactly 100 miles to Asheville. Driving east, I know I’m a good 40 miles from Winston-Salem. But on this trip, Statesville is the destination, a place that deserves to be stayed in longer than it takes to pay at the pump and down a combo meal. 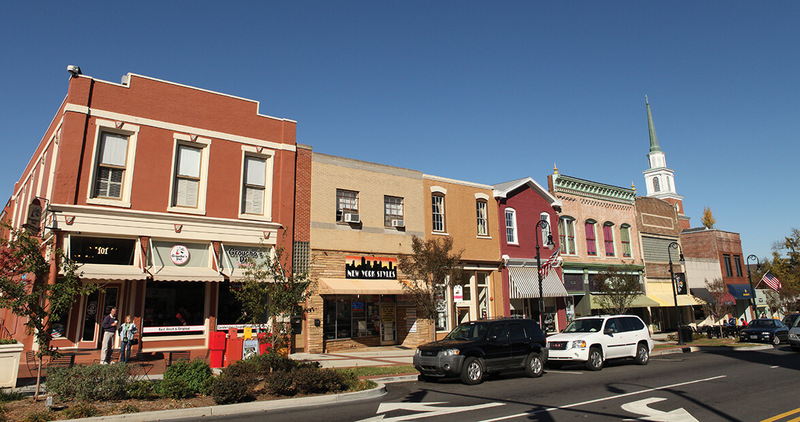 In downtown Statesville these days, you can dine on eggplant rollatini at the Mezzaluna II Ristorante Italiano, sample apple chutney at the 220 Café, buy cheese bread from a Colombian bakery, sip a glass of pinot noir while sitting at a sidewalk table at Wine Maestro, drink a frappé at HEbrews Coffee House, get a tattoo, buy a guitar, or stock up on jars of boysenberry jam at a nook called Your Southern Dreams. First Flight Bicycles on South Center Street is one of the top 100 bike shops in the country, according to Bicycle magazine. It occupies space inside a former department store built in 1923. Sleek new mountain bikes with fat tires shine on the wooden floor, but this shop is as much a museum as it is a showroom. Up there on a ledge against the wall are bikes that backpedal through more than a century of cycling history. “As far as we have been able to determine, we have the largest selection of vintage mountain bikes in the country,” says the owner, Jeff Archer, whose braided ponytail is graying with his 49 years. He’s originally from Ohio and has been in Statesville since 1989. He’s now chairman of the Downtown Statesville Development Corporation, a non-profit working to keep the city’s heart healthy. He stands at his front door and looks across the street at one recent improvement: the American Renaissance Middle School, which converted a tired old storefront into something vital again. “It was really rewarding to watch,” Archer says. “It was an old J.C. Penney. It was an old eyesore and they really dressed that thing up.” Everything old so fresh and new. 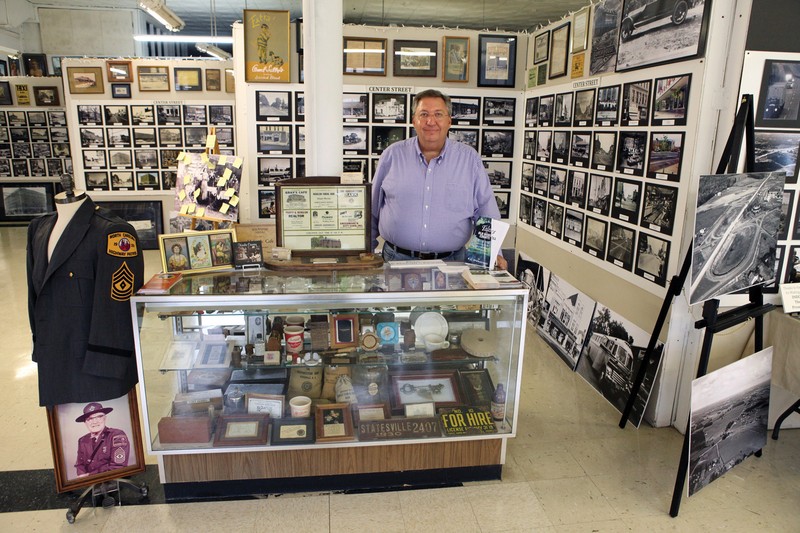 Steve Hill at the Statesville Historical Collection collects photos that show a glimpse of the town’s past. Here’s a picture of the Bunch Furniture Company engulfed in a boiling cloud of smoke during a fire in 1944. Here’s a picture of the Woolworth’s. Here’s a picture of a grand hotel. And here, near the front door, is a display of photos showing the construction and completion of the I-40 and I-77 interchange in the 1960s. Bulky cars with round headlights glowing in the twilight roll along the pristine white concrete. 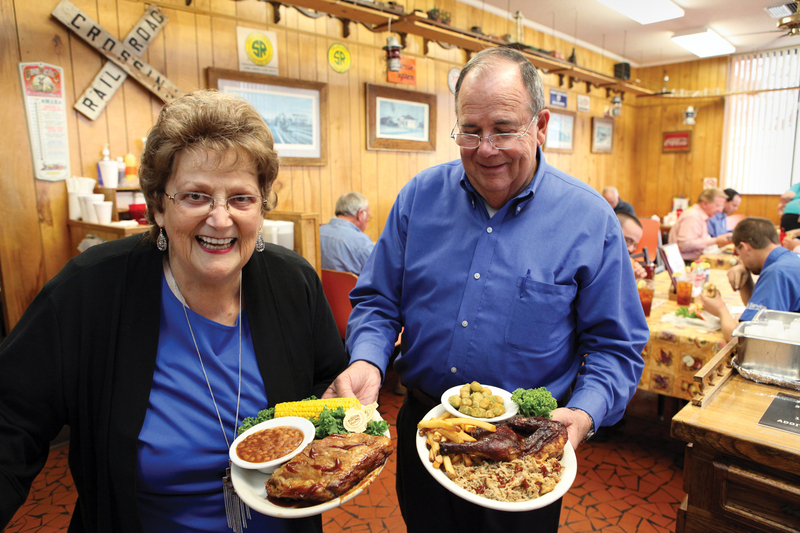 Gene and Linda Medlin moved to town in 1985 with their hearts set on opening their own barbecue restaurant. Like any good North Carolinian worth his pepper and vinegar, I look for the woodpile. It’s there, all right — a stack of hickory logs just beyond the take-out window. A brick chimney, shimmering on top from the rising heat, lords over it. Satisfied that this is the real deal, I walk inside and find the requisite pig figurines, always looking so gleeful despite their prominence on the menu. Since this restaurant is considered a local icon, the kind of place profiled in barbecue guidebooks and bragged about across state lines, I look for the inevitable autographed pictures of famous visitors. They hang above the door, mostly singers of the Nashville variety: Ronnie Milsap, Pam Tillis, Garth Brooks, Earl Thomas Conley (“To all at Carolina Bar-B-Q. Thanks.”). And as long as he’s here, he’ll never talk about the restaurant without talking up his wife, and he’ll insist to anyone who wanders in with a notebook that she deserves as much ink as he does. “We wanted to use the restaurant as a springboard to get her into the catering business,” he says. Judging by the photos on their website, her catering business can set one magnificent spread. There’s plenty of green space to enjoy at Mitchell Community College. So full of barbecue and a colorful side of history, I feel compelled to burn off some calories. I drive to where the landscape surrenders to lofty trees and century-old homes with columns and wraparound porches. The Davie Avenue and Broad Street Historic District is a residential Eden. I park my truck and walk a couple of blocks to soak it all in. Other people are out walking their dogs and jogging. I walk on to Mitchell Community College, an imposing presence on a hill at the end of Broad Street. 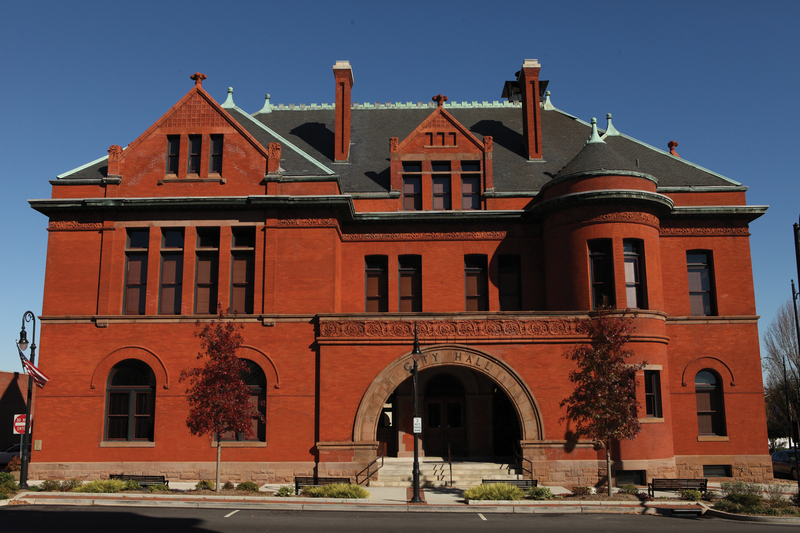 The main building, with its six Parthenon-style columns, overlooks downtown Statesville. I amble along a brick walkway known as The Circle, looping as it does around an expanse of grass, soft and lush. 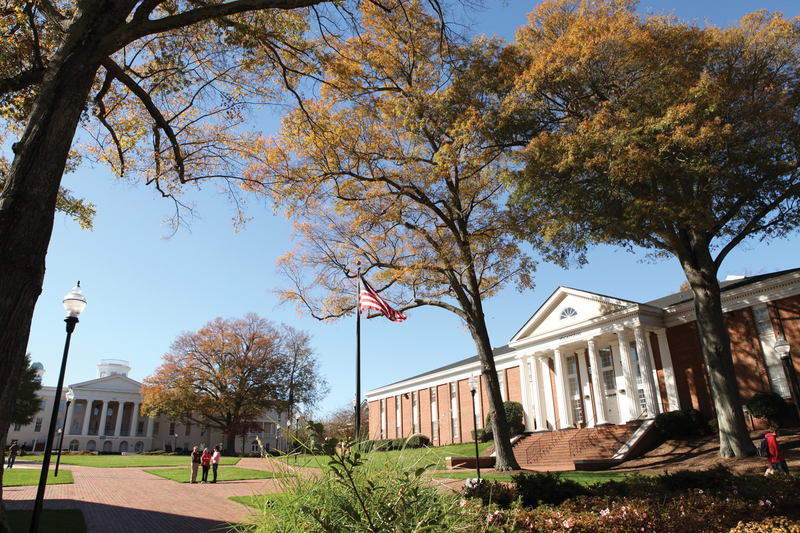 The school was founded in 1852 as a Presbyterian women’s college but is now a two-year community college with more than 3,800 students. On this Saturday the campus is empty, the setting quiet and contemplative. But daylight is fading fast. The interstates summon me. So I climb back in my truck and head east on Broad Street toward I-77. I turn onto I-77 north, then to I-40 east. The neon-trimmed signs of the interstate wayside illuminate the darkening sky, and soon are blotted out in my rearview mirror. The mighty I-40 lies before me in the headlights. I become one with the cruise-controlled travelers, the people who would be wise to slow down near Statesville, and stop for a plate of barbecue and a walk around town. 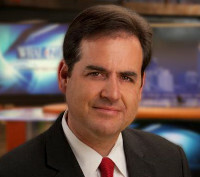 Mims is a reporter for WRAL News. He was the 2012 Television News Reporter of the Year.